People with a dementia diagnosis often struggle with daily routines, for example remembering to take their medication. In a European initiative called Remind, organisations from nine different countries collaborate to develop technical solutions that can help patients with dementia and their relatives in everyday life. Remind is a European project where universities and companies collaborate to generate and share knowledge about health care solutions for patients with dementia. Ubaid Ur Rehman is a PhD student from Kyung Hee University in South Korea, one of the partner universities in the Remind project. He visited Halmstad University as a guest researcher during three months in the beginning of 2018. Ubaid Ur Rehman has developed an application that, based on data from an intelligent home and a smartphone, can determine when it is a good time to remind a patient with dementia to take his or her medication. – The main purpose of the project Remind is to generate and share knowledge between the involved organisations ­– which are both within the industry and the academy, says Ubaid Ur Rehman. The Remind project gives us the opportunity to share ideas, information and results with others so that we efficiently can work towards the same goal. – Anita Sant’Anna, Assistant Professor at the School of Information Technology at Halmstad University. Remind was initiated by Anita Sant’Anna from Halmstad University and Chris Nugent from Ulster University in Northern Ireland. Chris Nugent was until recently a visiting professor at Halmstad University, focusing on development of mobile and pervasive computing solutions to support ambient assisted living. – A growing elderly population requires new health technology solutions and smart home environments. 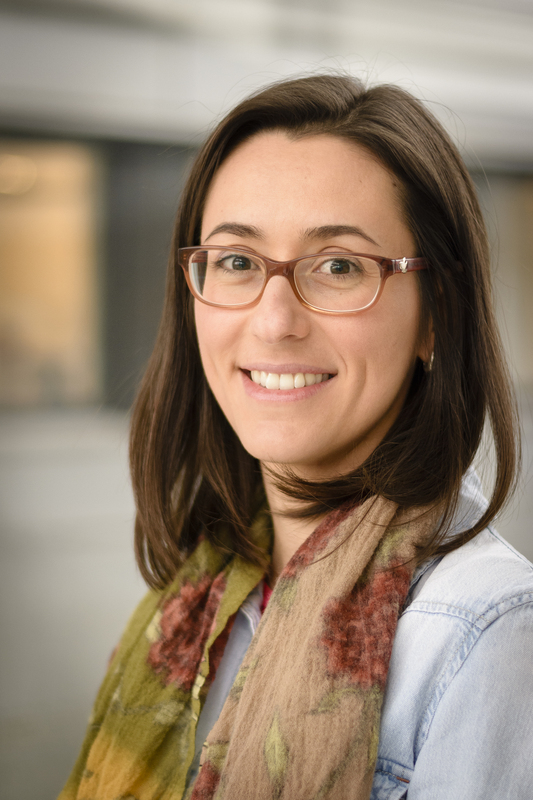 The Remind project gives us the opportunity to share ideas, information and results with others so that we efficiently can work towards the same goal, says Anita Sant’Anna, Assistant Professor at the School of Information Technology at Halmstad University. – Halmstad University is contributing to the project with competence in Artificial Intelligence. I think Ubaid’s activity recognition is a very good example of this. We have also, for example, made a system to detect recently performed activities – like taking medicine –using a thermal camera. – Aside from the research, I think the project also offers nice opportunities for networking, by sending people to different countries, and connecting academia to industry, says Martin Cooney. A final project demonstrator will be developed by the end of the project period, in June 2020. For humans, it is natural and relatively easy to interpret other people’s social signals and movement patterns, but when it comes to interacting with technical systems, like a robot or a driver-less car, there may be some challenges. 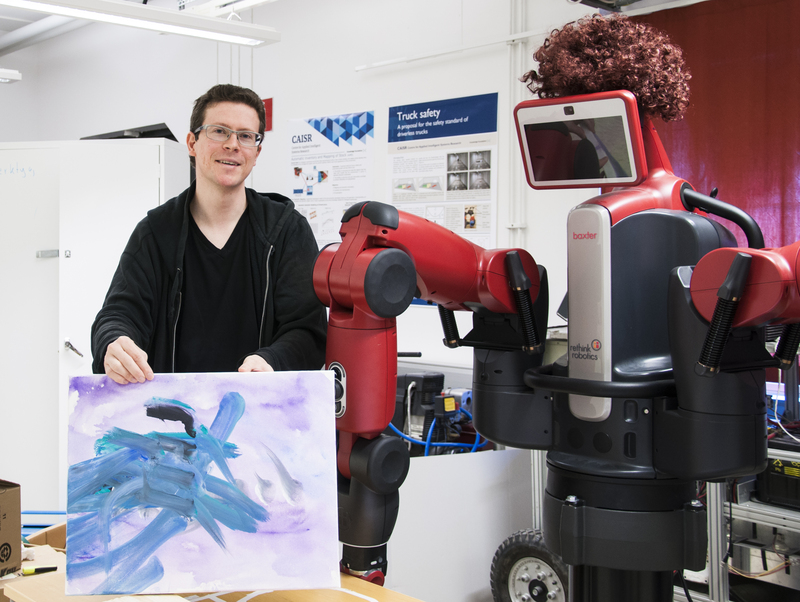 A strong, distributed research environment has been granted funding from the KK-foundation to study human interaction with autonomous systems more closely. In today’s society, there are already several so called autonomous systems, for example lawn mowers, household and industry robots, and cars that can park by themselves. But what exactly happens when autonomous systems try to interpret us humans, and how can we interpret their behaviour? The KK-foundation has granted 27 million Swedish crowns over a period of four years to reserachers at Örebro University, the University of Skövde, the University of Halmstad and Viktoria Swedish ICT for a joint effort in a strong distributed research environment to study the interactions between humans and autonomous systems. Tom Ziemke, Professor of Cognitive Sciences at the University of Skövde is the lead researcher. – This is a multidisciplinary project, where reciprocation in the interaction is important. Interacting with a self-propelled lawn mower may seem as a simple interaction, but what about the interaction when it comes to a driver-less car taking a human to work? It is necessary that humans are able to interpret the artificial systems and the systems need to be able to interpret us for a successful interaction. This has all to do with trust and safety, like when driver-less cars actually operation in traffic, says Tom Ziemke, Professor at the University of Skövde. – One example of what we will be working with in order to facilitate human-robot communication is outlines of maps. That is, how can a robot make use of human knowledge by using a map or a plan drawn on a piece of paper? says Martin Magnusson, researcher at Örebro University. The researchers are also going to look at how robots can interpret human intentions by observing what they are doing – for example if they are sitting, walking, or standing in line – to enable a more intuitive interaction. – That is, finding ways to bypass explicit instructions to the robot. 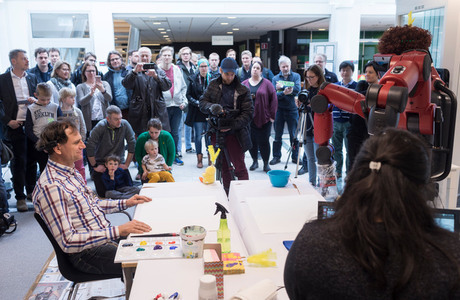 Regarding information going the other direction, that is for the robot to behave in a manner that is easily understood by humans, we will study how a robot can communicate its plans and what it has been able to understand from its surroundings by projecting images on close objects, says Martin Magnusson. – Another important step is to observe how robots can move in a way that is non-obstructive to humans, for example by teaching the robots what routes others use, to avoid the “traffic”. The research environment will commence in the spring of 2015, and continue until 2019. The KK-foundation is a university funding entity with the purpose of strengthening Sweden’s competitiveness.